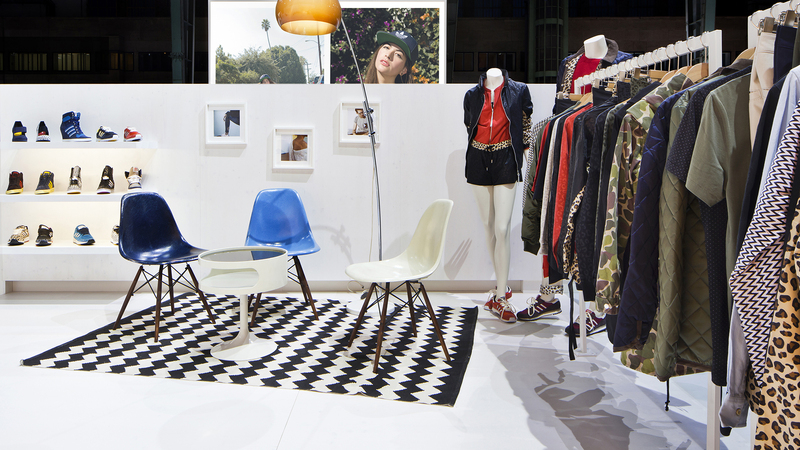 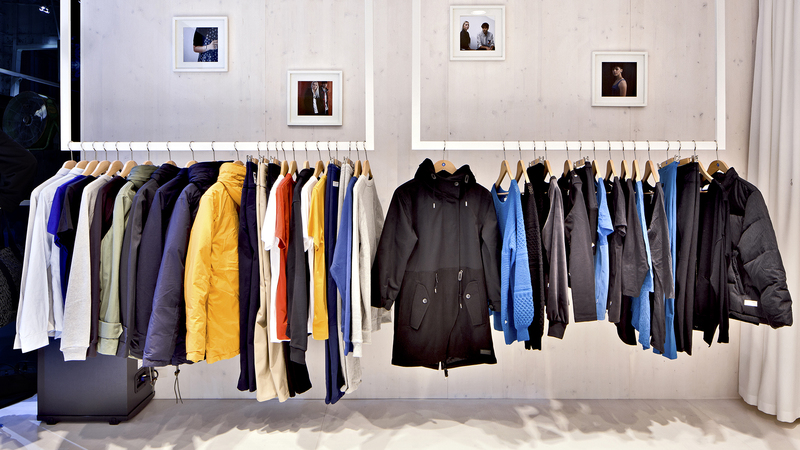 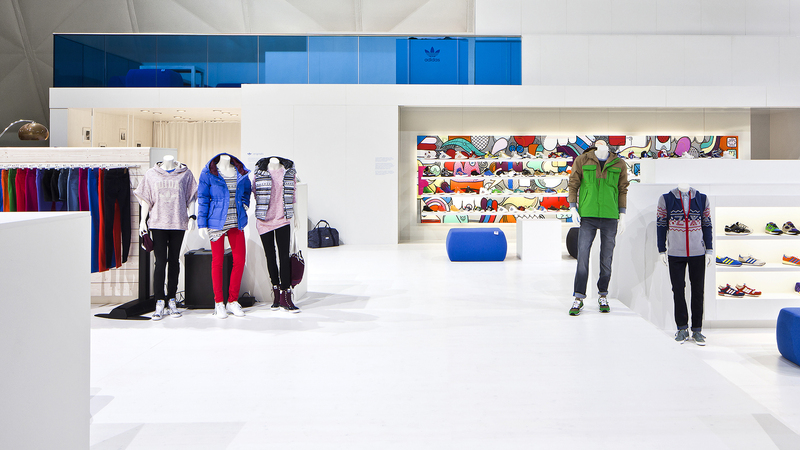 In winter 2013, for the eighth time, the D’art Design Group designed the fair appearance of adidas Originals at the trade fair Bread & Butter at the former Tempelhof Airport in Berlin, this time as a high-contrast white cube. 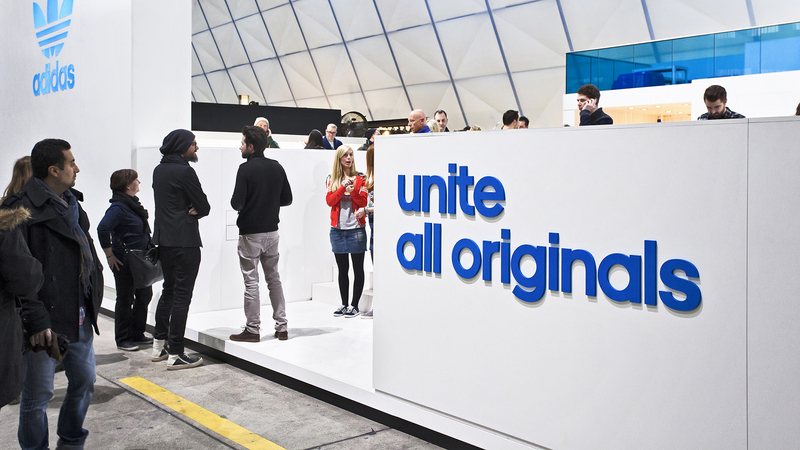 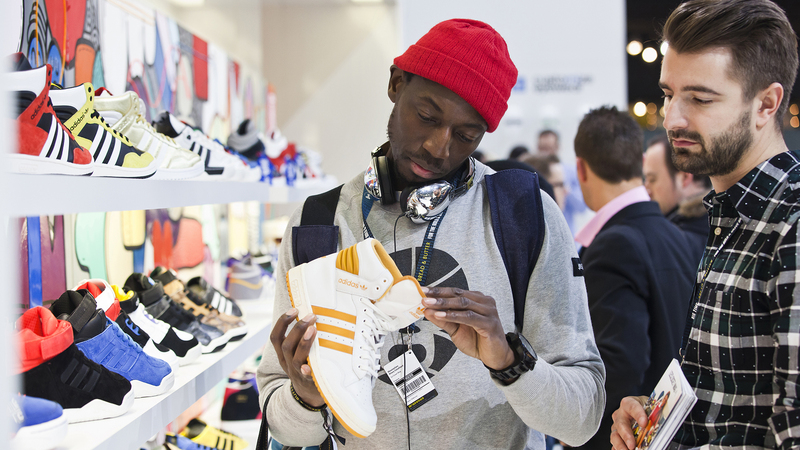 Almost entirely in white, reduced to essentials, young and playing with opposites – this is how the D’art Design Group presented adidas Originals at Bread & Butter 2013. 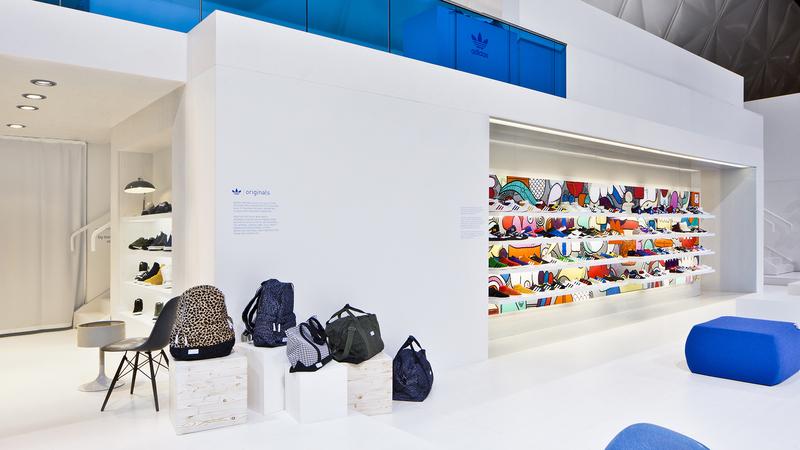 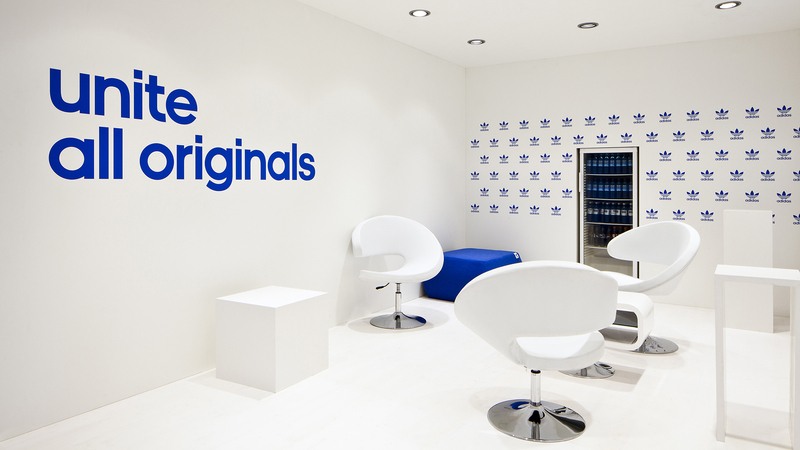 The striking blue adidas logo and loud colours of the products were in an ideal situation to draw attention against the futuristic bright walls and floors. 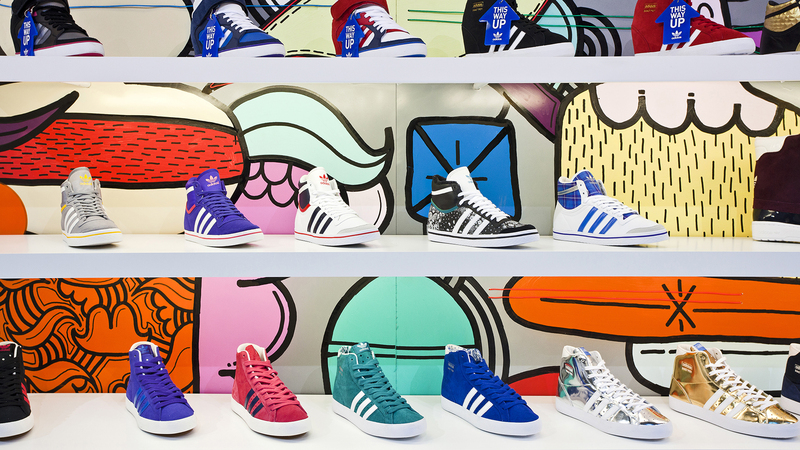 A multi-coloured wall, in front of which the sneakers were presented, formed an exciting contrast to the clean, minimalist setting. 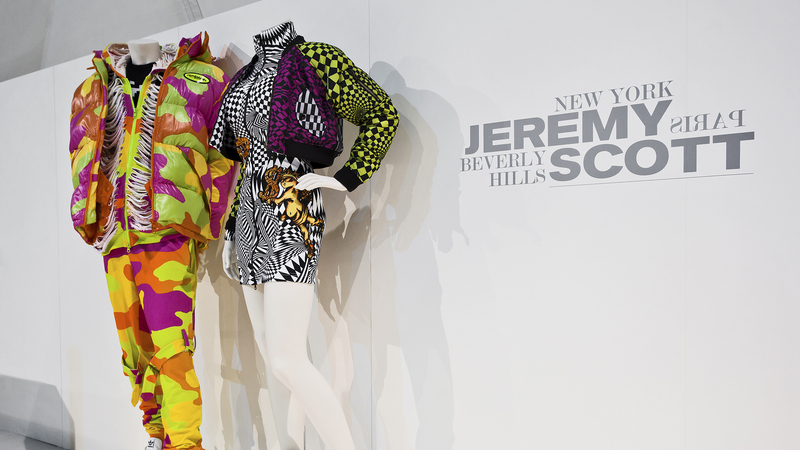 Seating areas and highlights such as the presentation of the Jeremy Scott Collection were integrated into the uncluttered spatial structures created with slender wall elements. 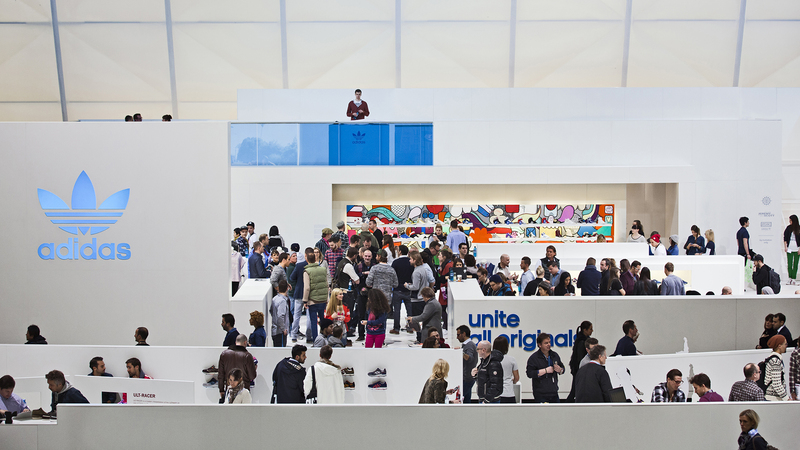 The stand design also fitted in superbly with the surroundings, harmonising with the enormous white air-cushion membrane on the ceiling of the airport building.